We strive to breed genetically sound Labradoodles at Eden Valley. However, genetics are only part of the equation in good health for our canine companions. Nutrition plays a critical role in the health of our dogs. So many dog foods on the market have had recalls and other issues. 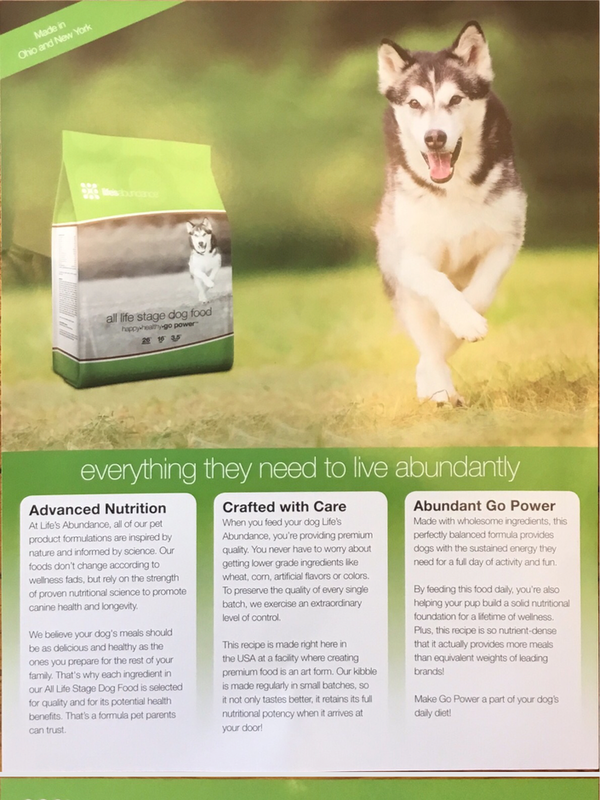 We have chosen to feed our dogs Life’s Abundance Dog Food not only because of its excellent nutrition but also because of their stellar track records of having no recalls in over 20 years! Never recalled, always FRESH! Life’s Abundance dog and puppy food contains only quality, wholesome ingredients formulated to provide 100% complete nutrition in accordance with AAFCO feeding protocols. These premium dog and puppy food formulas are so important because good pet nutrition is essential for a long, healthy life. Their dog and puppy foods are formulated by Holistic Veterinarian, Dr Jane Bicks. Their manufacturer is APHIS certified to sell pet food in the European market, which has more stringent regulations than in the U.S. for pet food manufacturing. They make small frequent batches to insure that you get the freshest food possible. The Life’s Abundance food that will be delivered to your door is FRESH. Some store bought pet food could be anywhere from 6 months to a year old… and losing vital nutrition monthly! We feel so strongly about the benefits of Life’s Abundance Nutrition System that we offer an extended 1 year warranty (from our regular 2 year warranty to a 3 year warranty) if you feed Life’s Abundance Nutritional Systems to your puppy for the first three years or life. We suggest you order you food and training treats prior to picking up your puppy from us. Life’s Abundance is not available in stores but can be ordered through Eden Valley representatives. You may eventually select from any of their premium kibble formulations however, our puppies will have been fed Life’s Abundance All Life Stages Dog Food (not the grain free version). It comes in the lime green bag. We suggest that you start with this variety so that your puppy doesn’t have any digestive upset. Please feel free to use different varieties throughout your dog’s life. 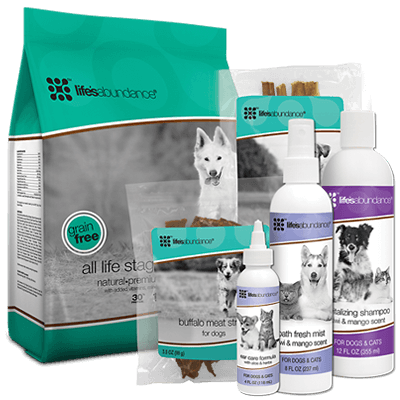 Their training treats, supplements and shampoo are some of my all time favorites! Be sure to take advantage of the discount by placing your order on auto ship. or call Life’s Abundance directly at 1-877-387-4564. When calling, be sure to give them our representative code (20581598) so that we have a record of your purchases for your extended warranty. Life’s Abundance sets us monthly reports so there is no need for you to keep records of your purchases for your health guarantee.